City Meadows offers single and double unit 5 bedroom town houses at a prime location of New City Housing Scheme at very reasonable prices. New City Housing Phase 2 is easy to access from motorway as well as GT road, and it is a well developed and populated housing scheme with all basic facilities available to the residents. City Meadows are designed in a modern fashion, so these houses are both spacious as well as stylish. 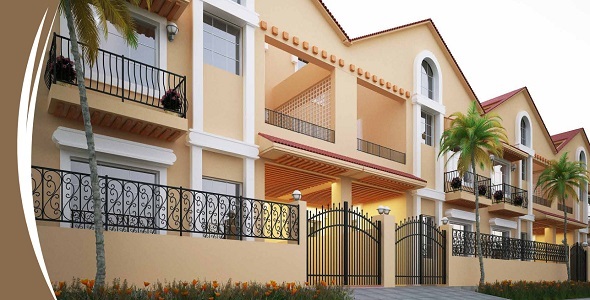 Best thing is that you get a well-built house in a well developed housing scheme at a flexible installment plan. As you can see in the image above, the front elevation is designed as per modern villa standards. Single unit independent houses come with 5 bedrooms, i.e one master bedroom on ground floor, 3 bedrooms on upper floor, and one bedroom on mumty. Double unit houses come with 5 bedrooms, i.e 2 bedrooms on ground, 2 bedrooms on upper floor and one bedroom on mumty. 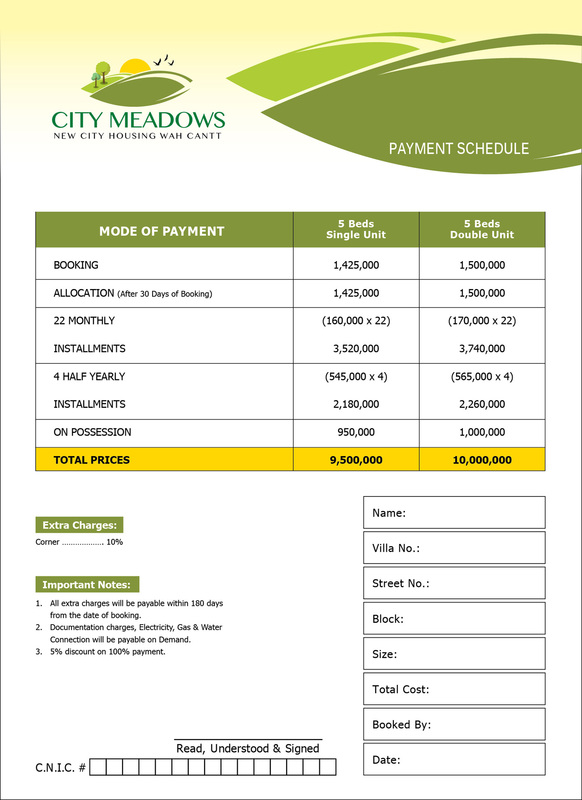 City Meadows are available for booking on first come first served basis. Bookings start from 15% down payment, while 15% is payable after 30 days of booking as confirmation charges. 10% amount is payable at the time of possession. Remaining 60% amount is payable in 2 years through monthly and half yearly installments. 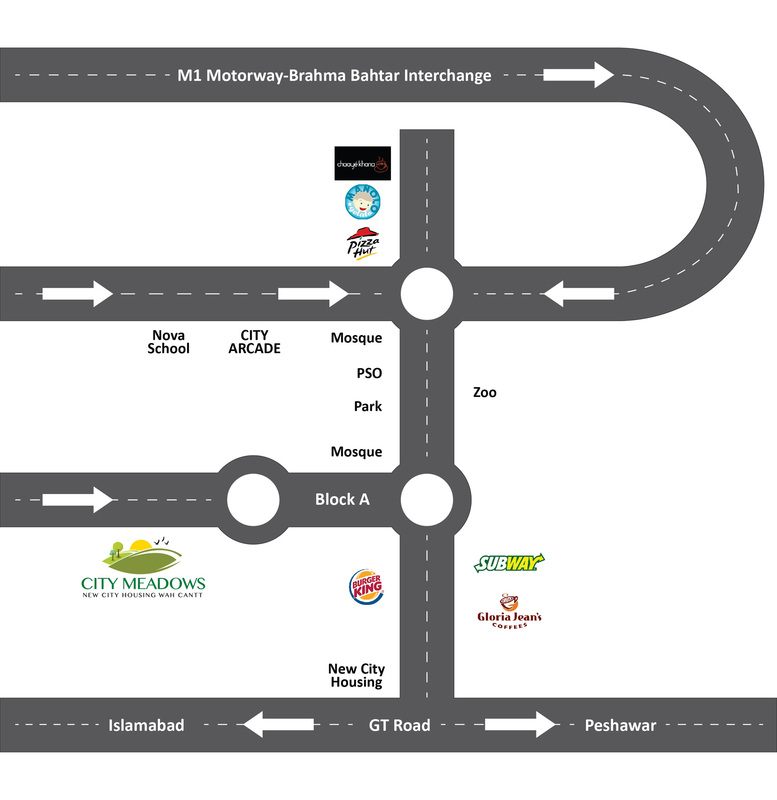 It is very easy to book your house in City Meadows New City Housing Wah Cantt. You can download the booking form from below, print out, fill in all necessary details, attach required documents, make pay order in favor of the developer i.e. Brixley Builders and submit to book your house.